Summary (From Goodreads): Witch’s apprentice Bridey Corkill has hated the ocean ever since she watched her granddad dive in and drown with a smile on his face. 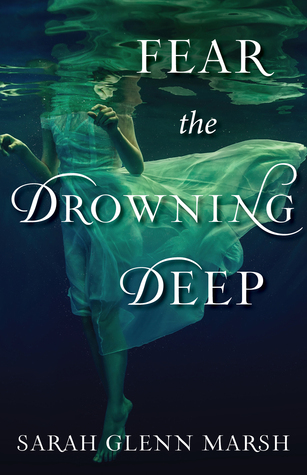 So when a dead girl rolls in with the tide in the summer of 1913, sixteen-year-old Bridey suspects that whatever compelled her granddad to leap into the sea has made its return to the Isle of Man. 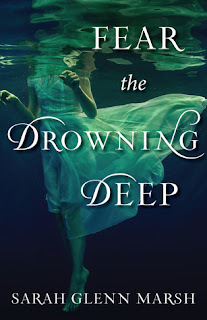 For my first ever Sunday Street Team post, I was elated to discover I would be interviewing the lovely Sarah Glenn Marsh, author of Fear the Drowning Deep! I received an advanced e-copy of this book through Eidelweiss, and it is certainly not one to miss this Halloween season! Join me as I sit down with Sarah to find out more about Bridey and her world, what influenced Sarah as she wrote, and what's ahead! I, like countless others, am eagerly awaiting the release of FTDD! How do you plan to celebrate on release day? First of all, thank you so much! While I have a few fun things in the works for release month throughout October, on release day itself my only plan so far is to take time for me! So, spending time with my animals, and maybe going out for ice cream. 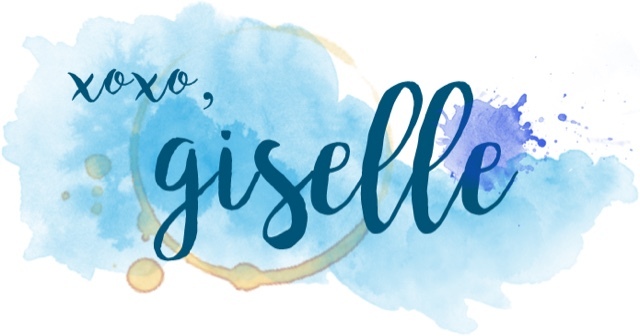 All in all, I’m more excited for all the events that will follow the release, where I’ll hopefully get to meet some awesome readers, than I am for release day itself—though I’m impatient for it to arrive so the fun can begin! FTDD takes place on the Isle of Man, a little island cut off from the mainland and smack in the middle of the ocean between Ireland and Great Britain. Why here, of all places? When choosing my setting, I had only a vague idea for a story in mind ("Girl is afraid of the ocean. She has to save her town from something terrible in the water. Wouldn't it be agony to fear the ocean and be stuck on an island your whole life?"). As I looked up various islands, I came across the Isle of Man, which I'd never heard of before. The first time I saw it in pictures, I thought, "This is a place where magic could happen." What stood out to me is that it's beautiful and rugged enough to be something out of a fantasy land, and the culture there is steeped in centuries of lore. It’s the sort of wild, untamed place where anything seems possible, and the more I read about it, the more I envisioned my story unfolding there on the rocky cliffs, among sea birds and starfish. The Manx culture and landscape really helped shape the story in a magical way. What did your research into the Isle entail, did you wind up taking a trip there? If so, count me jealous! The Isle looks absolutely stunning from the results yielded by a quick Google search. As for research: my process was a bit unusual. For one thing, I found some great books first published in the 1800s on Manx mythology (mainly dealing with fairies and the Islanders’ customs and lore surrounding them), and read those/took notes! I also ordered some Manx history books directly from the Isle–I don’t recommend this though, unless you want to spend a TON on shipping! I also went to YouTube to look up videos of the Isle of Man TT. This is a famous motorcycle race (for those who aren’t as enthralled by motorcycles as I am!) and my awesome biker dad had mentioned it to me several times growing up. Bikers from around the world flock to the Isle of Man for this big race around the island each year; it’s actually been happening since the early 1900s! So, I watched videos of the TT to get a sense for the Manx landscape and the accents of the Manx people reporting on the race! Most YA in this realm of seafaring creatures will often deal with sirens or mermaids. What made you want to break away from that trope and write about a different sort of more predatory sea creature? I think this stems from how much I enjoy ghost stories, murder mysteries, and thrillers. I think every good story has a mystery at its core, and beyond that, the stories I’ve been most drawn to all my life are those that are heavy on atmosphere and a sense of malice, of some impending threat. Those are the things that keep me turning pages, so I brought those elements to Fear! Witches play a big role in the story as well. If you could be any sort of magical creature, human or otherwise, which would you want to be and why? The era that this story takes place in, 1913, isn’t a very common era in popular literature. What compelled you to set Bridey’s story in such a historically rich period? This particular year felt right to me for Bridey’s story for a number of reasons. First, it was a year after the sinking of the Titanic, an event which confirmed Bridey's worst fears about the ocean. Second, this was a time in which there was very little technology on the Isle (relative to other places in the UK, which were quicker to adopt new tech as it became available). This was also a time when many on the Isle still upheld rich old traditions, and some still believed in the existence of fairies. All these things combined made 1913 on the Isle of Man feel like a distinctly magical time in which to set my story! Is FTDD a standalone novel, or will readers get to go on more adventures with Bridey? Fear is indeed a standalone, though if readers were to want a short story to follow up the book, that would certainly be possible! I also have an idea for a companion novel which may or may not get written, but which would center on Bridey’s sister, Liss, and a spot of trouble with some not-so-sweet Manx fairies! This book has a bit of a horror/thriller element to it. Are you a big fan of that genre, and if so what are some of your favorite horror and thriller books, authors, and movies? I’m a huge fan of horror movies and books, but not the slasher types! I prefer psychological stories, especially ghost stories heavy on atmosphere and with a slow, ominous build. When it comes to books like this, Susan Hill’s The Woman in Black (both the movie and the book) really delivers. In fact, I’d recommend all of Susan Hill’s work to anyone who loves an atmospheric and truly chilling ghost story. Another great book in this vein that I just finished is The Little Stranger by Sarah Waters. It’s a gothic ghost tale that really got under my skin, and I appreciated its slow pace and the vague, creeping horror. I’m also addicted to Simone St. James’s historical ghost novels, which mostly take place around WWI. The Haunting of Maddy St. Clare is a frequent re-read for me, as are her other books; they mix hot romance in with some very eerie hauntings! When it comes to thrillers, an author who stands out for me is Gretchen McNeil! I’ve read all her books, and they’ve yet to disappoint—they always keep me turning pages much longer than I mean to! I also really enjoyed Ruth Ware’s In a Dark, Dark Wood. As for movies, for me, there are few that come close to director James Wan’s ghostly movies like The Conjuring and its sequel. The upcoming Lights Out looks so scary that I actually screamed during one of the trailers! I also love Guillermo del Toro’s ventures into this genre; Mama was downright disturbing at times. Lastly, what is the one thing you want to impart upon your readers with FTDD? Fear is at its heart—and I’m sure this is no surprise—a novel about facing your greatest fears. I’ve had some experience with this myself, when I was diagnosed at age 20 with an autoimmune disease that required me to give myself injections (I arguably am more terrified of needles than Bridey is of the ocean!). I hope the book at some point, somewhere, reaches a reader who needs a little inspiration when it comes to being brave. We all have our own dark ocean/needles/ghost to face, and I hope Bridey’s story shows that fears can indeed be overcome, or at least cast aside in the moments when we need to be our strongest. 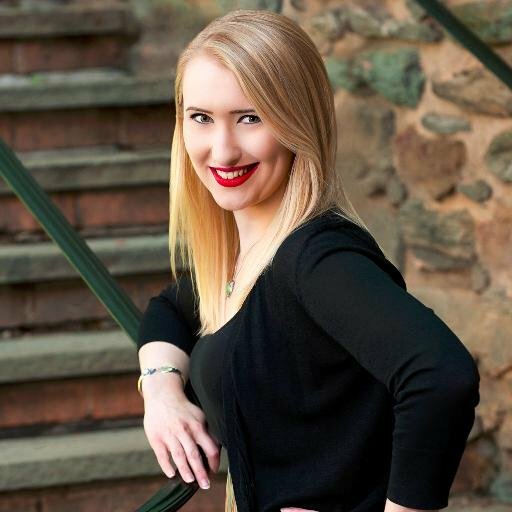 Sarah Glenn Marsh writes young adult novels and children's picture books. An avid fantasy reader from the day her dad handed her a copy of The Hobbit and promised it would change her life, she’s been making up words and worlds ever since. She lives in Virginia with her husband and four rescued greyhounds. When she's not riting, she's often painting, or engaged in pursuits of the nerd variety from video games to tabletop adventures and dungeon crawls. Her work is represented by Christa Heschke of McIntosh and Otis. Visit her online at www.sarahglennmarsh.com.